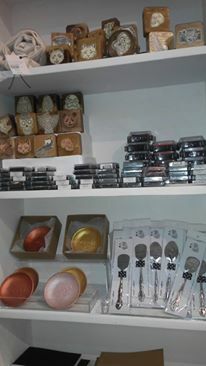 Like any craft shops, the Craft Central was introduced as a supplies partner in 2014 that offered a line of products for calligraphy students. It was known for its own house- branded inks, brushes, pads and its fan-favorite hobby starter kits. What was once a virtual shop inspiring afficionados to create beautiful crafts, had finally opened its pilot physical store in Greenbelt 5, Makati City. 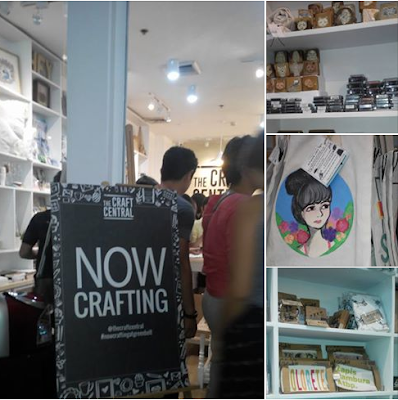 Guests and friends were given a chance to spend a creative afternoon at The Craft Central store last September 22, 2016. The opening day was filled with fun D.I.Y. 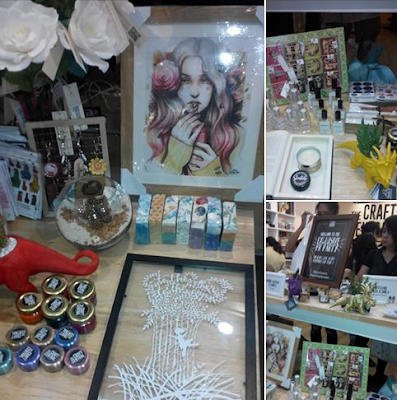 activities such as Hand-stamping tote bags (by Sqooid) and Create-your-own Bath bombs (by Soak Artisan Soap). I had fun designing my tote bag! 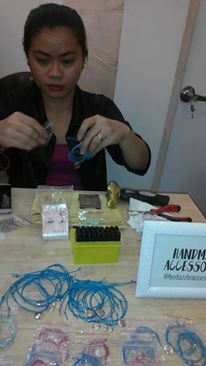 They have a multitude of ready stamps and ink pads for everyone to enjoy this crafty activity. There are so many different ways to use the stamping materials, and you can customize them by using different color combinations of leaves, flowers and whatever symbol you want on your tote. Other stations around the store were also present to hand guests with different kinds of giveaways like personalized notebooks (by Ink Scribbler), travel-sized perfume (fromOils and Petals), hand-sculpted earrings (from Pink Opium) and customized bracelets (by Bedazzled). I find metal stramping and DIY-stamped bracelet awesome! These bracelets make great gifts as you can stamp your name, initials or an important date on it. You can also turn these into friendship bracelets that would be a great gift for a friend’s birthday, or even when the holidays start to roll around. 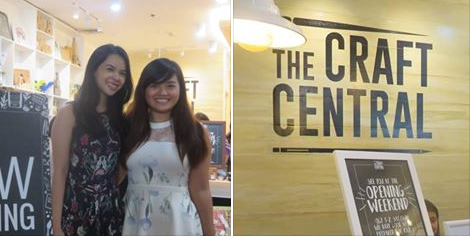 Watch out as The Craft Central celebrates its Grand Opening Weekend to the public happening this October 1 to 2, 2016. The weekend will be filled with fun activities with different craft stations, workshops and demos from The Craft Central partner artists.